It is a legal requirement in many buildings to have evacuation chairs for use in an emergency to evacuate less able people from the building. This course covers the use of the chair and ensuring that learners are competent to use an evacuation chair safely. The course includes practical modules using the chair. 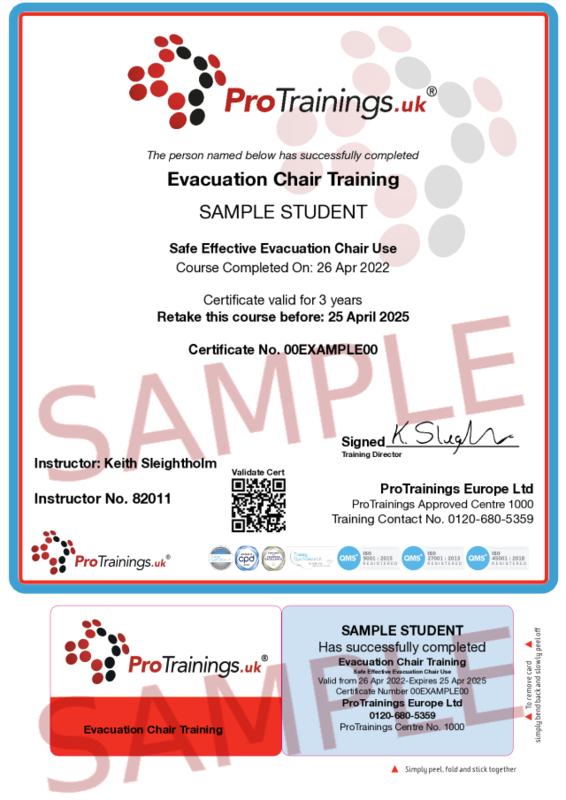 We also supply evacuation chairs if you also need to buy one and we can offer packages including the training and chair or chairs.